In the Spring of 2018, the Juvenile Justice Council (JJC) embarked on an endeavor to update the existing logo. While the previous version fulfilled its purpose, the membership wanted something that was more representative of the work done by this entity. 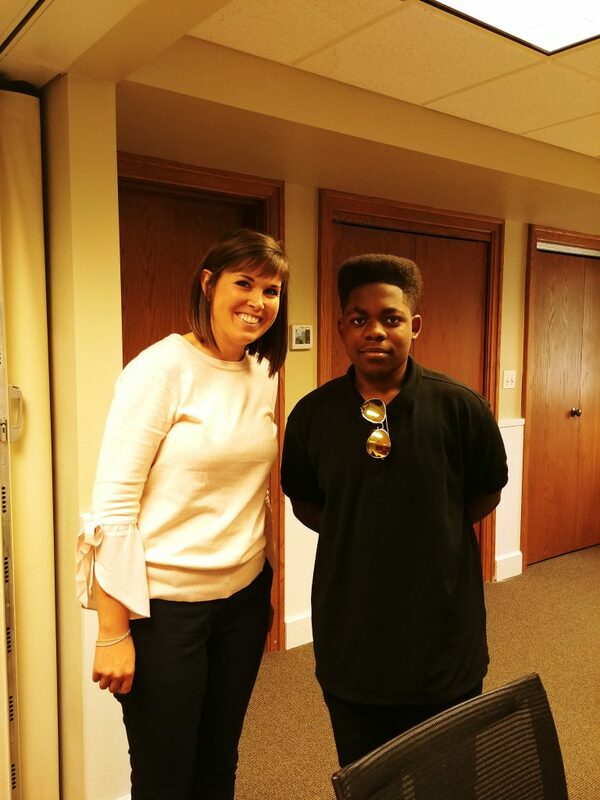 When a request for assistance with the revitalization of the JJC’s emblem was posed, a Kane County student was nominated by one of the JJC members. This Kane County student is Maurice Martin, son of Sherry Green and Keith Goins. In the summer between his sophomore and junior year of high school, Maurice dedicated approximately 147 hours to this project. With minimal direction, Maurice provided over 20 variations and options for the JJC to consider as the new logo. Prior to this, Maurice had developed the logo for a local non-profit, Building Families Together. An aspiring graphic designer, Maurice writes that he became interested in graphic design when he started drawing the world; realizing that life is not always as nice as he had pictured it, he views graphic art as his opportunity to erase the mistakes. Maurice presented the final versions to the JJC at the annual retreat for fiscal year 2019, responding to various questions from the audience about his work. 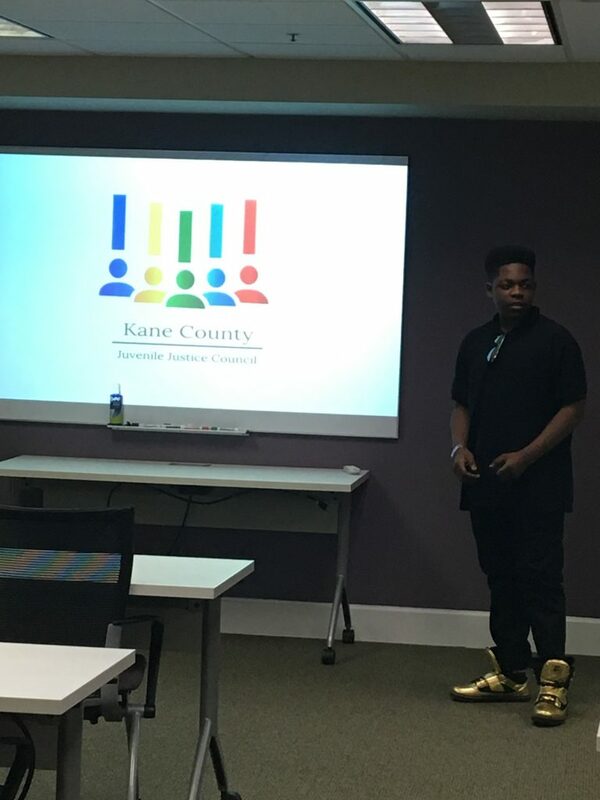 The membership took a popular vote, selecting the option above as the new logo of the Kane County Juvenile Justice Council. Thank you to Maurice for all of your hard work, patience, and creativity! Maurice presents the logo options to the JJC membership, explaining the amount of work he put into this project. JJC Coordinator Julia Schick with Maurice after he presented the logo options to the membership.